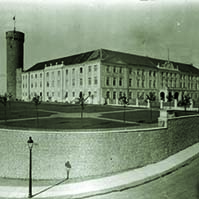 The Riigikogu passed with 82 votes in favour the Resolution “Formation of the Riigikogu Committee of Investigation to Ascertain the Circumstances of the Proceeding and Satisfaction of the Claims Collected to the VEB Fund” (368 OE), submitted by the Estonian Centre Party Faction, the Estonian Reform Party Faction, the Pro Patria and Res Publica Union Faction, the Social Democratic Party Faction, Rainer Vakra, Lembit Kaljuvee, Deniss Boroditš and Kalle Laanet. According to the Resolution, the Committee includes Members of the Riigikogu Andres Anvelt, Aivar Riisalu, Väino Linde, Marko Pomerants and Rainer Vakra; and Neeme Suur, Heimar Lenk, Kalle Jents, Priit Sibul and Deniss Boroditš are their alternate members, respectively. The task of the committee is to ascertain the circumstances relating to the formation, the organisation of the work, and the management of the national VEB Fund, and acts performed during the period 1993‒2012, as well as the ascertainment of the possible damages caused to the state and private sector enterprises by the acts performed by the Fund. 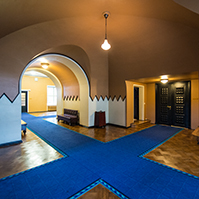 The Committee will have to submit the final report on the results of its work to the Riigikogu and the public by 2 December 2013 at the latest. 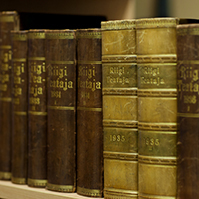 The Resolution enters into force on the day following its publication in the Riigi Teataja. 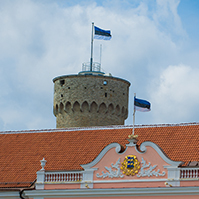 The Resolution on appointment of a Member of the Riigikogu a member of the Supervisory Board of the National Library of Estonia (381 OE), submitted by the Cultural Affairs Committee, was passed with 70 votes in favour. 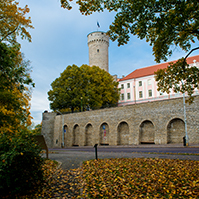 According to the Resolution, Member of the Riigikogu Reet Roos is appointed a member of the Supervisory Board of the National Library of Estonia instead of Kaia Iva who has resigned from the Board on her own initiative. The Resolution enters into force upon signature. The Resolution on appointment of a member of the Supervisory Board of the State Forest Management Centre (387 OE), submitted by the Environment Committee, was passed with 43 votes in favour. With the Resolution, Member of the Riigikogu Jaanus Tamkivi is appointed a member of the Supervisory Board of the State Forest Management Centre in connection with the termination of Tõnis Lukas’s authority as a member of the Board. 21 members of the Riigikogu voted against the Resolution. The Resolution enters into force upon signature. On the motion of the Legal Affairs Committee, the first reading of the Bill on Amendments to the Code of Criminal Procedure and Other Acts (295 SE), initiated by the Estonian Centre Party Faction, was concluded. The aim of the amendments is in the first place to bring the Code of Criminal Procedure into conformity with the minimum rights provided for the suspects and accused in criminal matters as provided for in the European Convention for the Protection of Human Rights and Fundamental Freedoms. The regulation which is currently in force does not ensure these minimum rights. According to the amendments, the absolute principle of legality, paternalistic in essence, is eliminated, ensuring the possibility that, in criminal offences in the second degree for which lesser sanctions are imposed, the investigative body or the Prosecutor’s Office does not have an obligation to commence criminal proceedings, and it is commenced on the basis of the interest of the victim or the public. While the number of persons who have been punished pursuant to criminal procedure has been rapidly increasing with the elimination of the private prosecution proceedings and application of the absolute principle of legality, the initiator hopes that this number will fall as a result of the amendments. The Social Democratic Party Faction moved to reject this Bill at the first reading. 11 members of the Riigikogu voted in favour of the motion and 67 voted against. As the motion to reject was not supported, the Bill was sent to the second reading. On the motion of the Constitutional Committee, the first reading of the draft Resolution on the formation of the Anti-corruption Select Committee (380 OE), submitted by the same Committee, was concluded. According to the draft Resolution, a new the Select Committee on the Application of the Anti-corruption Act will be formed pursuant to the new Anti-corruption Act which will enter into force as of 1 April 2013. In comparison to the Act which is currently in force, the new Act somewhat extends the authority of the Select Committee to exercise parliamentary scrutiny over the implementation of anti-corruption measures. It also enables the Committee to discuss on its own initiative possible cases of corruption of the officials specified in the Anti-Corruption Act and also to provide assessments thereon. The draft Resolution was sent to the second reading. 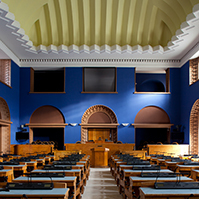 On the motion of the Constitutional Committee, the Bill on Amendments to the Citizenship Act (356 SE), initiated by the Estonian Centre Party Faction, was rejected at the first reading. 42 members of the Riigikogu voted in favour of the motion to reject and 32 members voted against. Thus, this Bill was dropped from the legislative proceeding.